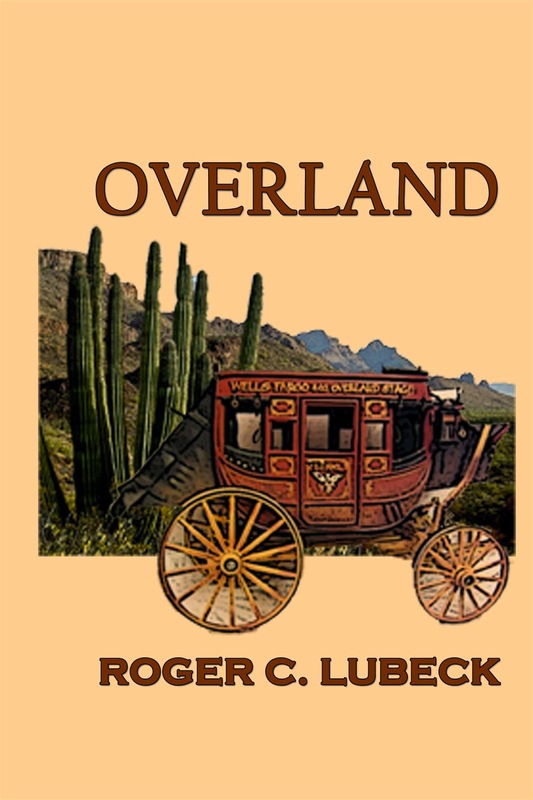 In 1875, the Butterfield Overland Mail Coach took twenty-five days to carry mail from St. Louis to San Francisco. The two thousand eight hundred and twelve mile journey spanned six states and the Indian Territory. The stage stopped at over one hundred and eighty stations to water and change horses or mules. In each town, the stage might pick up and dropped off passengers and mail. At the stations, passengers were fed something that passed as coffee and plates of beans and surplus bacon purchased from the army. Travelers going any distance learned to carry their own food and refreshments. The stage from Tipton arrived at the Division Center in Fort Smith late Thursday afternoon on September 2nd. The Division Center consisted of a central house for the Superintendent, the Agent Station for passenger, stables, and corals. The Center was on the out skirts of town on Rogers Street just east of the intersection with Garrison street. From the Center, you could see the Immaculate Conception Church which marked the eastern end of Garrison Avenue. Rather than stop at the Station House, which was normal, two grooms came out of the stable, and led the horses to the Superintendents House. The driver, Kelly Averez, who locals called Whip Kelly and the Conductor, Amos Davies, carried the strongbox and bags of mail into the superintendent’s office as Neils Johnston, the shotgun stood at the ready. Kelly and Neils were proud of the fact they had never been robbed and they weren’t going to drop their guard in a town once as lawless as Fort Smith. While the money and mail were being transferred, the grooms took charge of the four horses. Kenneth Waters the Division Superintendent, came out of his office and watched as the Assistant Station Agent helped the five passengers, three men and two ladies out of the Concord coach. Waters was a man in his fifties. He wore a three-piece wool suit with the pant legs tucked into tall brown leather boots. While he watched, a third groom began removing the luggage and bags from the boot. shotgun sat on the box and waited for the ladies to leave the coach. Behind him lay a Winchester rifle, saddlebags, and a carpetbag valise. He’d sold his saddle for a ticket to El Paso. The man was dressed in buckskin pants and handmade red shirt. He was blue eyed, fair haired, tall, and broad in the shoulders and wore a wide brimmed, sweat stained white Calvary hat, issued to him before his discharge in Fort Leavenworth. The man on top, climbed down and stood close to Waters. Both men eyed one another. Even in a suit, it was clear the older man was no one to cross. He was tall, straight, and hard. He was a man used to being obeyed. “Why is the stage delayed?” asked the passenger. His words were direct and carried no sign of challenge. “Stole another man’s boots.” The Superintendent took a moment to wipe one of his boots on the back of his pants. The back of his pant legs were covered in dried mud. “Pretty rough sentence for stealing clothes,” said Nathan. Waters look around the platform and spit tobacco on to the street. “The first trial ended when the jury couldn’t bring in a verdict. They said they couldn’t decide, so a mistrial declared and a second trial scheduled for May. That was when Judge Parker arrived. Word was Parker was going to clean up Fort Smith. I went to the second trail to see if the rumors were true.” Waters scratched his chin and opened the bottom button on his vest. He enjoyed telling this story. “Reason enough to see him hang, I guess. What about the others?” asked Nathan. “I grew up on a farm in Michigan. I served with the Michigan Fifth in the Calvary in the war. I know my way around horses and I have my own pistols.” Hilton put his hand on the handle of the Army Colt. “Son, the Indians out here ain’t no drunk Kickapoos. They are Apache, Comanche, Kiowa, and Sioux. They are hunters. The world’s greatest horsemen. The Indian Territories and beyond, that is their land and we took it from them. We stole their land, and now every week I have to replace horses stolen by the Apaches. Sometimes I have to replace men too, killed by a Comanche wanting what is his. What we have done ain’t fair, but neither is stealing my horses and killing my passengers.” Waters spit another piece of his tobacco. “Well, there are two stages to El Paso in a week. Neils is scheduled to go to El Paso tomorrow and I have Hawk McKinsey riding shotgun on Monday. Where we need a man is between El Paso and Fort Yuma. That’s fewer miles a month, but still it would pay eighty dollars a month. Suppose I cash in your ticket to El Paso and let you ride on top for free. You can be our second shotgun between here and there. If Kelly likes what he sees, I’ll pay you regular wages for the trip. If you don’t work out, you get a free ride, and have the money for a ticket to California. Is it a deal.” The superintendent held out his hand.